A previous article on this site detailed how the more than 7 million who enrolled in health insurance plans through The Affordable Care Act, or ObamaCare, was bullish for the health insurance industry as stocks such as UnitedHealth Group (NYSE: UNH) and Cigna (NYSE: CI). 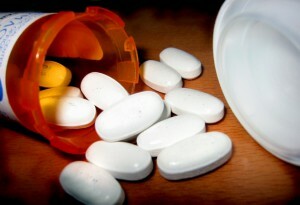 The pharmaceutical industry will also be a big winner as a result of The Affordable Care Act. Drug companies will benefit from ObamaCare. Obviously, there will be millions of new customers. There are other provisions that will increase revenues for pharmaceutical and biotechnology firms. For investors, there are a wide range of investment choices ranging from mammoth blue chips such as Merck (NYSE: MRK), Pfizer (NYSE: PFE), and Eli Lilly (NYSE: LLY) to small cap biotechs with promising products such as CytoDyn (OTC: CYDY). For income investors, Big Pharma is just what the doctor ordered. At present, the dividend yield for the average member of the Standard & Poor’s 500 Index (NYSE: SPY) is under 2 percent. For Merck, the dividend yield is 3.14 percent (chart below). The dividend yield from Eli Lilly is 3.32 percent. Pfizer has a dividend yield of 3.23 percent. For Big Growth, however, investors will have to look at small caps like CytoDyn. Big Pharma firms, even with the millions of new customers from The Affordable Care Act, will simply not grow that much in the years ahead. As an example, earnings per share are expected to grow at a rate of 2.10 percent for Pfizer over the next five years, based on a consensus of the Wall Street analyst community. It is not much better for Merck or Eli Lilly. CytoDyn is taking on HIV with a unique approach: it improves the health of the patient through “drug holidays.” While pharmaceuticals are wonderful products, the patient can suffer. CytoDyn is working on an injectable product that allows the patient to be off drugs, but still heal. The potential is huge, especially with positive news recently from the Food and Drug Administration.